Another chieftain of the governing All Progressives Congress, APC, has resigned his membership of the party. 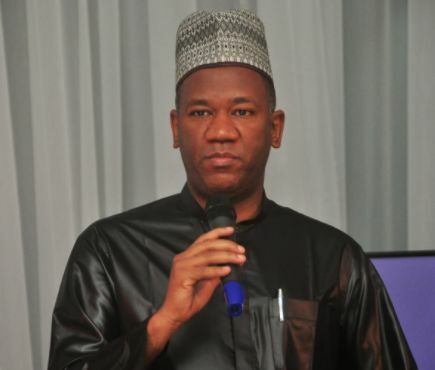 Yusuf Datti Baba-Ahmed, a senior party member in Kaduna State, was a member of the House of Representatives from 2003 to 2007. He was also elected a Senator on the platform of the Congress For Progressive Change, CPC, in 2011 when he defeated two-time Kaduna governor, Ahmed Makarfi. Mr. Baba-Ahmed on Thursday, in a hand-written letter, informed the chairman of Tudun Wada ward in Zaria Local Government of his decision to resign his membership of the APC. The former Senator did not give reasons for his decision to leave the party. He however told PREMIUM TIMES in a telephone interview on Friday that he did not give reasons in the letter because “for a party like APC, the shorter the better”. He also told this newspaper that he decided to leave the APC because “Buhari’s government is incompetent and corrupt”. Asked about the government’s effort to check corruption in Nigeria, Mr. Baba-Ahmed said “the government is lying”. “The government of Buhari was established by looted funds and over 80 per cent are from the PDP; his so called fight against corruption is a ruse,” he said. The former lawmaker also said the APC administration lacks principle and vision and came to power without any concrete plan for Nigeria. He said he has moved back to the PDP “where 80 per cent of current APC members are from”. He said the 80 per cent “are the same people who destroyed Nigeria in the last 18 years and they are now in APC”.